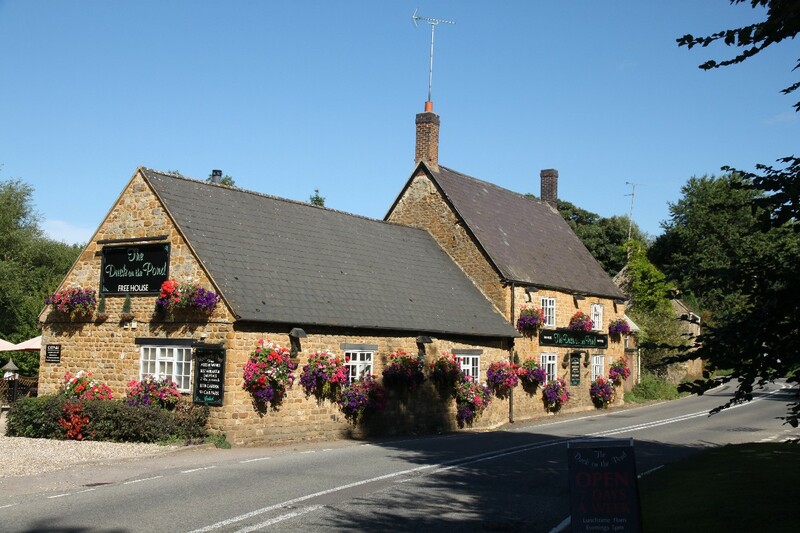 The A361 Banbury to Chipping Norton road snakes its way through the village of South Newington and the impression of the village you get from the road is very favourable, especially when The Duck in the Pond pub is bedecked with baskets of fabulous flowers. 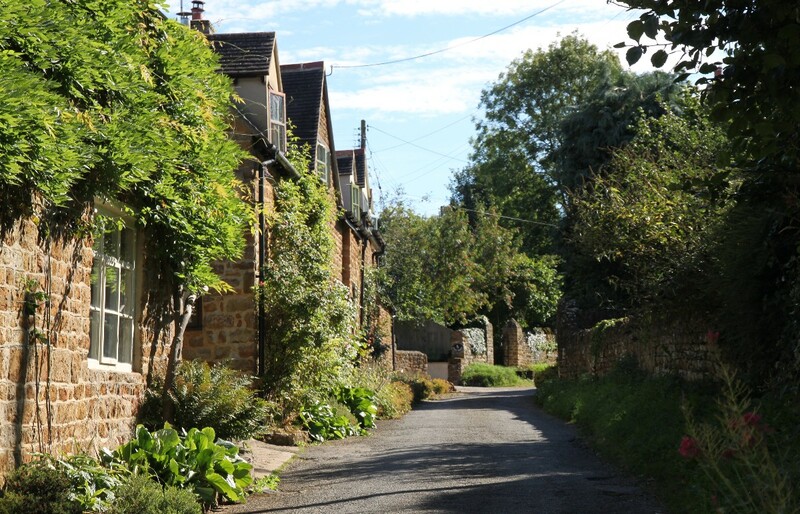 But in fact most of the village is off to the south of the main road, and is worth a detour to see. 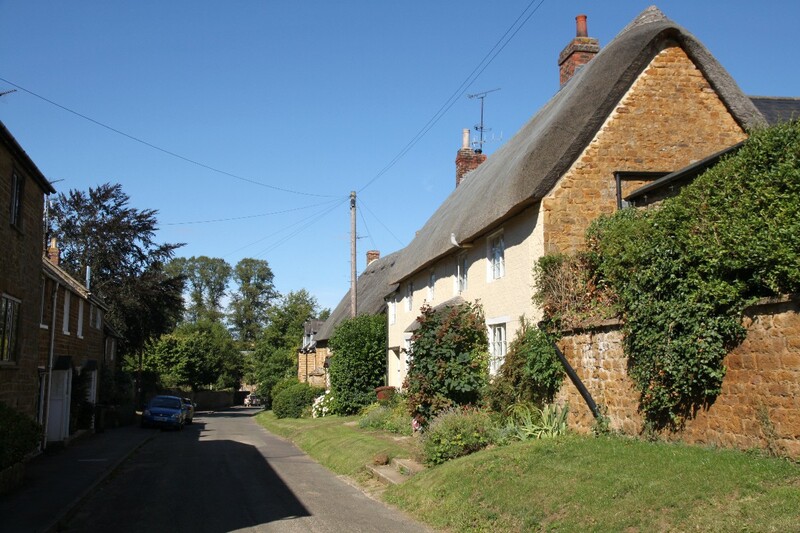 Like other nearby villages, South Newington is built mainly in the local dark honey-coloured Hornton ironstone and there are plenty of thatched cottages dotted around the village. The parish church is the late norman Church of St. Peter ad Vincula (St. Peter in Chains), named after the basilica of San Pietro in Vincoli in Rome. 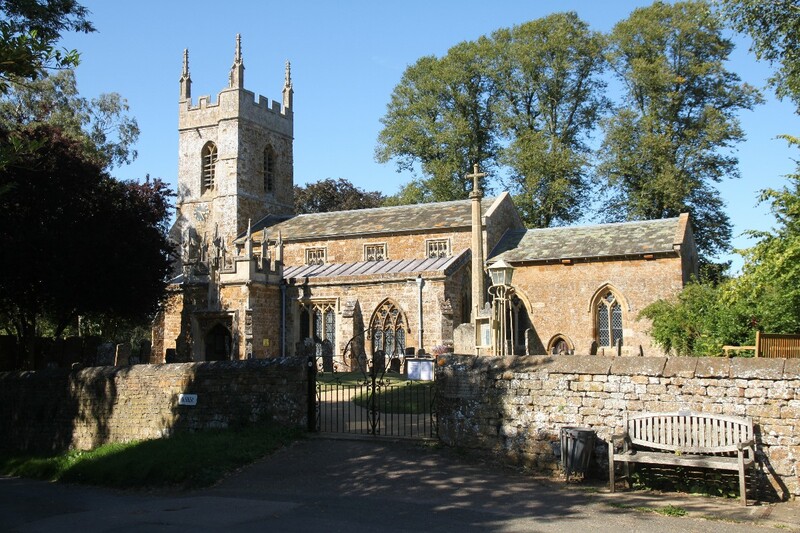 The church is one of only 15 in England dedicated to St Peter ad Vincula. 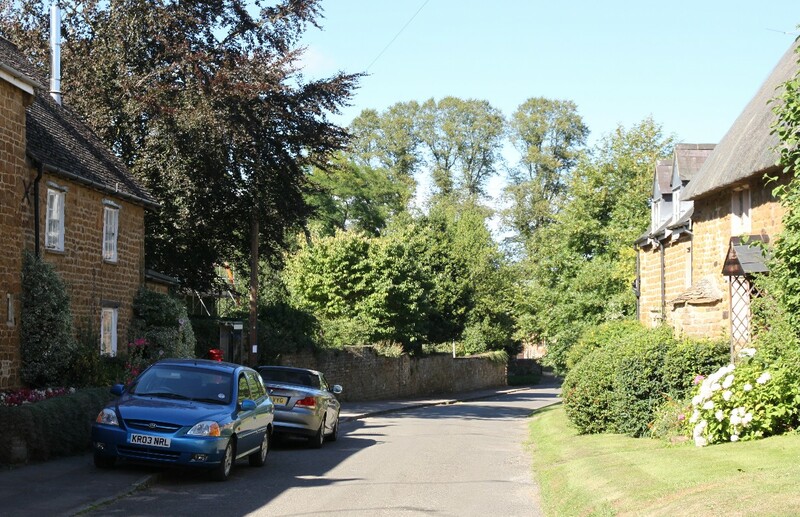 The church was considerably extended at the end of the 13th century, when the bell tower was added. 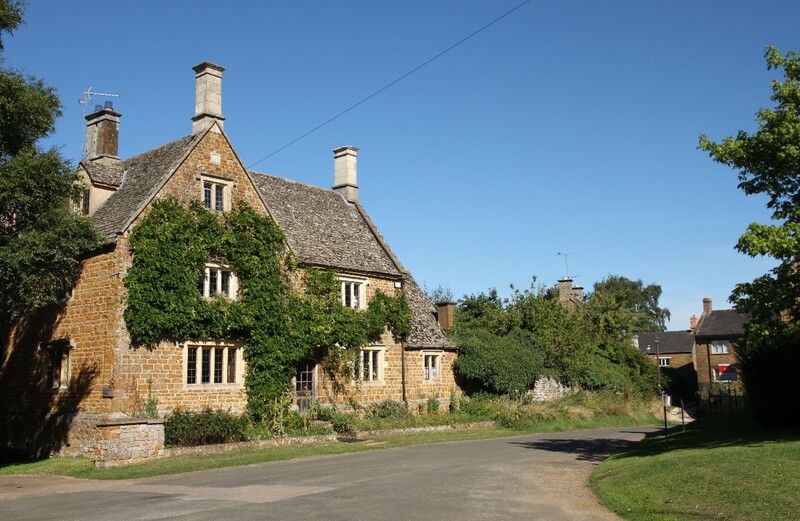 Further additions were made in the second half of the 15th century. 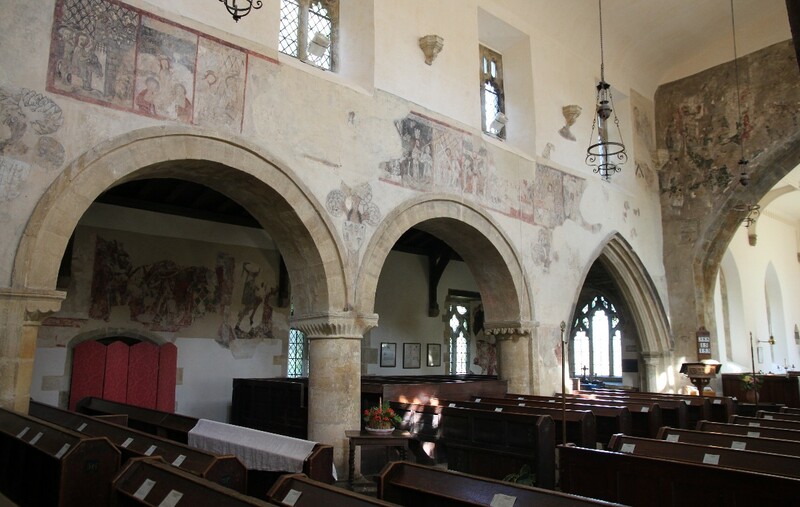 The church has some very fine wall paintings dating from the 14th century which are thought to be among the finest in the country. They include a rare painting of the martyrdom of Thomas a Becket, and others from the 15th & 16th centuries. 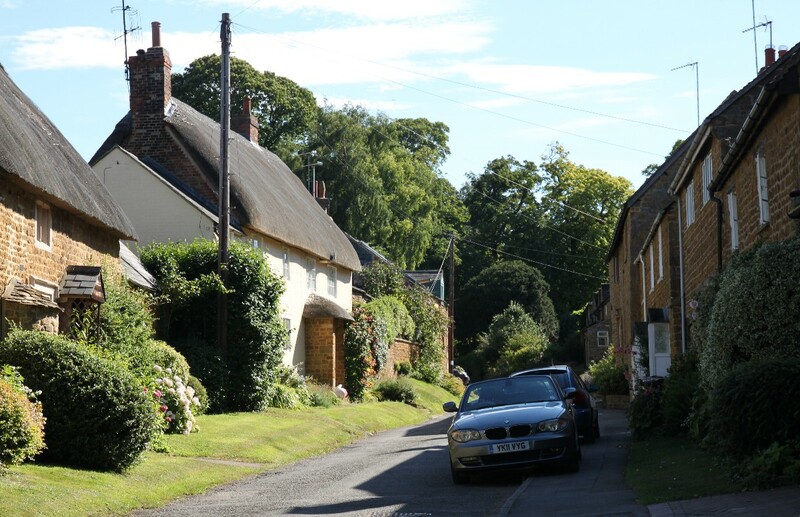 South Newington is about 5 miles south-west of Banbury on the A361 Banbury to Chipping Norton road.